Asia-to-Europe shippers have reported that some containership sailings have rolled-over bookings this week ahead of the build-up to Chinese New Year (CNY). However, container spot rates have yet to reflect the capacity squeeze, with the North Europe component of the Shanghai Containerized Freight Index (SCFI) this week edging up by just 2.8% to $888 per teu, while rates to Mediterranean ports were unchanged at $738 per teu. Nevertheless, according to The Loadstar’s sources, carriers have begun notifying their European customers of big rate hikes in the coming weeks after previously extending the validity of rates to January 7. One UK forwarder told The Loadstar he had been advised by a carrier of a massive $2,000 per 40ft increase in his VIP rates, which offer space guarantees, valid for 14 days from next week. But he said he could still “enjoy” his existing lower rates with some of the lines, albeit with no space protection, which he would use for non-urgent boxes. China’s Year of the Dog will commence on February 16 and carriers have already announced a raft of blanked sailings to Europe for global weeks seven, eight and nine, with the aim of supporting the rate gains in the slack period following the new year festivities. For example, 2M partners Maersk and MSC have advised shippers there will be no less than nine westbound voyages cancelled during the period. 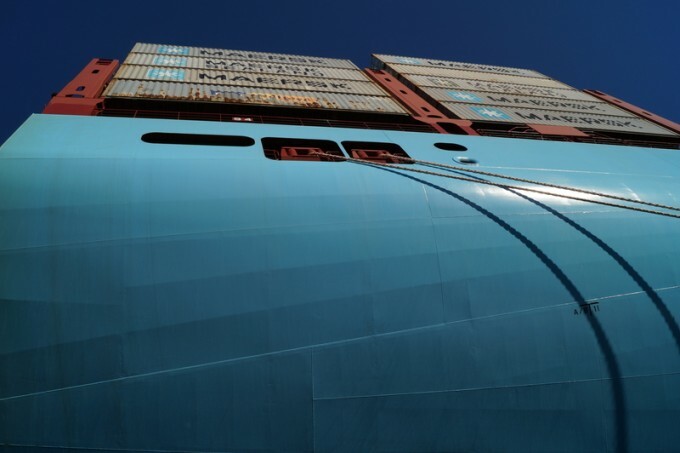 Although some substitute routings have been offered, with a few port calls also “subject to inducement”, Maersk said that where there was no suitable alternative, “the cargo must wait for the next available sailing”. The knock-on effect could also cause supply chain problems for North Europe’s exporters, as at least six eastbound backhaul voyages scheduled for late March and early April will be void as a consequence. On the transpacific trade, spot rates were calm after the dramatic 30% surge last week, with today’s SCFI recording a slight fall in rates for the US west coast, to $1,465 per 40ft, and no change on east coast rates, at $2,425 per 40ft. Transpacific capacity is reported to be tight, with “strong demand” pre-CNY and, unsurprisingly, carriers are taking full advantage to improve their revenue with announcements of substantial general rate increases (GRIs) and peak season surcharges (PSSs). THE Alliance member Yang Ming has announced a $1,000 per 40ft GRI for February 1 and lead line Hapag-Lloyd has hit Asia-to-North America shippers with a PSS of $700 per 40ft for the same date. THE Alliance is underpinning the sustainability of the hefty rate hikes with a number of blanked headhaul sailings in the aftermath of CNY. The stability in Asia-Europe spot rates and the recent surge in transpacific rates will put carriers on the front foot for annual contract rate negotiations covering both key tradelanes. Meanwhile, BIMCO’s chief shipping analyst, Peter Sand, is cautiously optimistic for the container liner industry. In BIMCO’s latest “news and trends” report, published this week, Mr Sands suggests liner profitability is “up for grabs” in 2018, with the proviso however that demand growth remains around 4-5%, and fleet growth is “handled with care”.